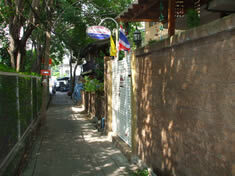 we came back to bangkok three times during our trip, all three times we came back here. We even left our luggage there for a month and nothing was taken. Very trustworthy and very nice staff. away from the aweful noise on Koh San but not far away from the party either. Loved it! 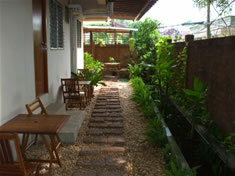 Very quiet and clean guest house near Khao San. Wonderful view from roof terrace. I recommend it.